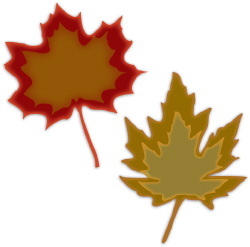 Clip art of a pair of maple leaves in their Fall colors, one red and the other golden in color. 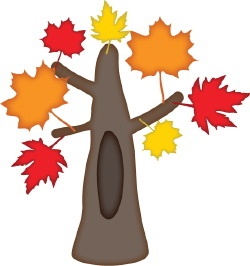 Clip art of a maple tree all decked out in the reds, oranges, and golds of Fall foliage. 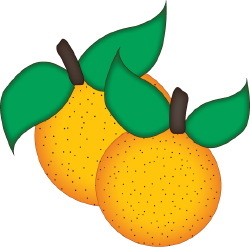 Clip art of two round ripe oranges with speckled skins and bright green leaves. 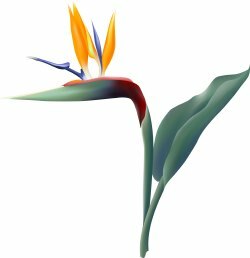 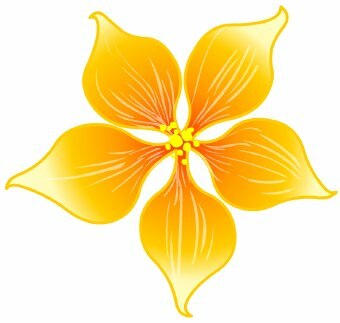 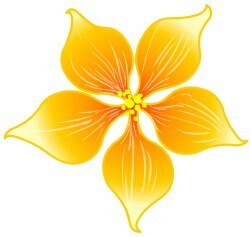 Clip art of a Bird of Paradise flower. 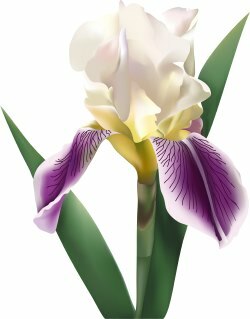 Clip art of a purple and white iris flower with green leaves. 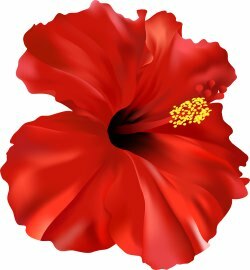 Clip art of a red hibiscus flower. 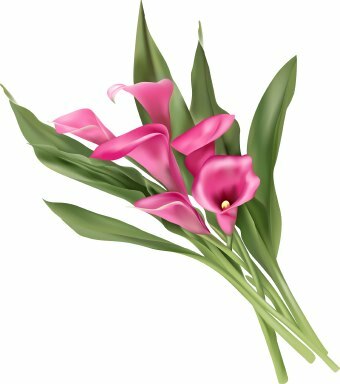 Clip art of several calla lily flowers with green leaves. 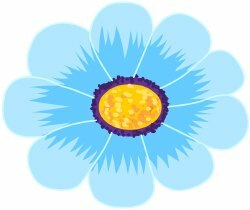 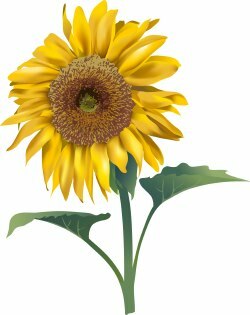 Clip art of a yellow sunflower with green leaves. 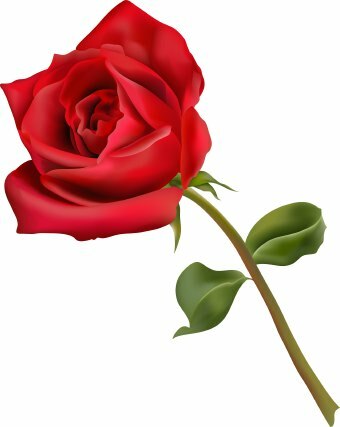 Clip art of a red rose flower with green leaves. Clip art of a tall red flower. 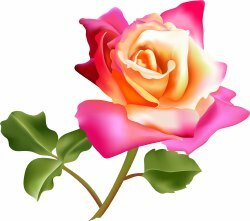 Clip art of a pink rose flower with green leaves. 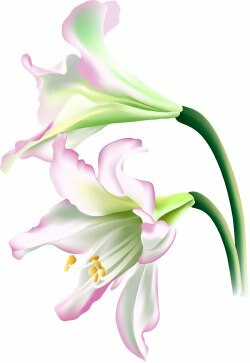 Clip art of a pair of white lily flowers. 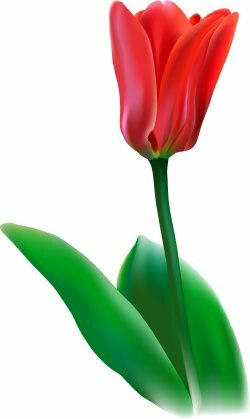 Clip art of a red tulip flower with green leaves.